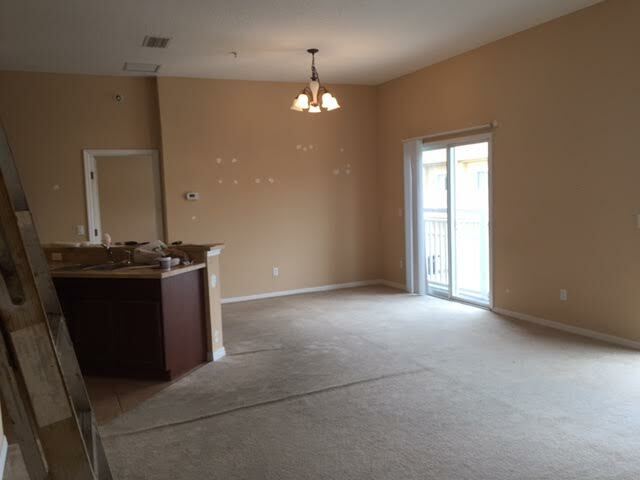 This is article #5 in the Orlando Flip or Hold series. Read article #1. Read article #2. Read article #3. Read article #4. I have to admit, we are both handy. 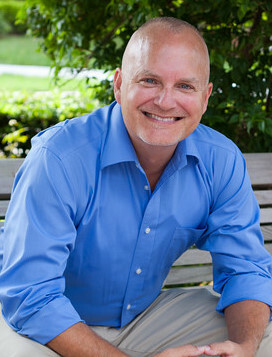 For this project, we were able to save lots of money because we did a lot of the work ourselves. Before: Wall patching underway followed by texture spraying. Removal of the counter tops in anticipation of the granite installation. Also, you now see pendant lights above breakfast bar, which hadn't existed prior to purchase. The new paint color, Gallery Taupe, is also shown. 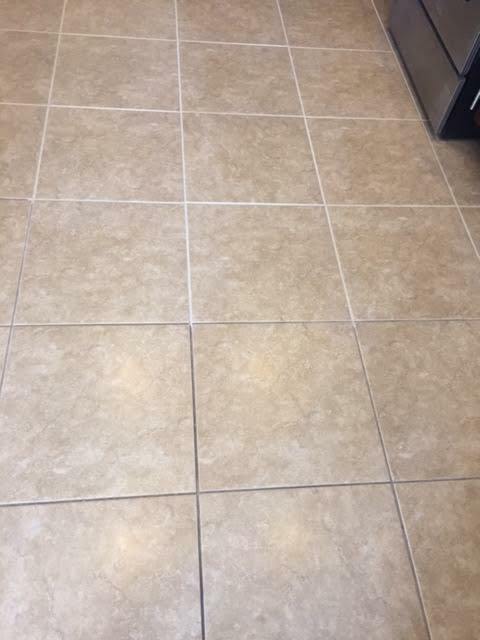 Before and after grout staining in kitchen. This is tedious, but look at the overall impact! 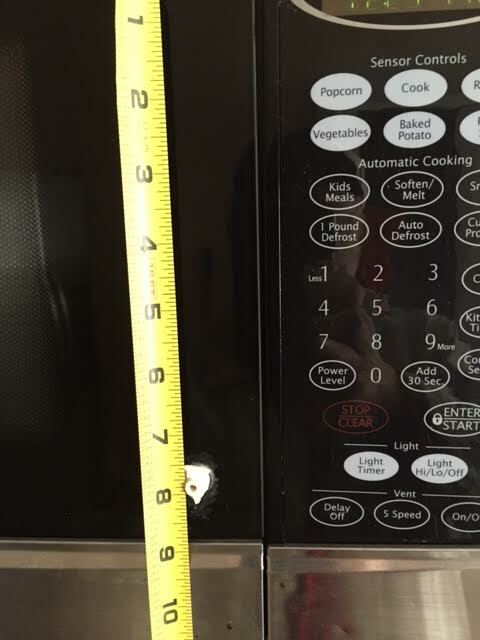 The microwave still worked great, but the handle was missing. We went to the manufacturer for the replacement but found you had to order the entire door AND that was discontinued two years earlier. The only option was to purchase a new microwave. 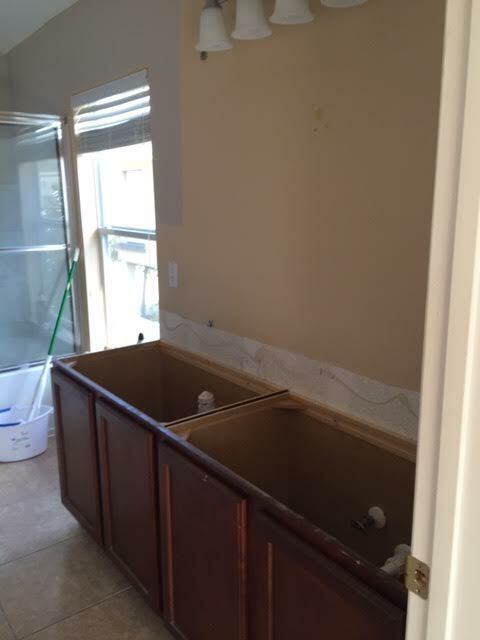 Master bathroom vanity and guest vanity awaiting new sinks, fixtures and granite. From my previous article, I mentioned using 1 paint color throughout the property. 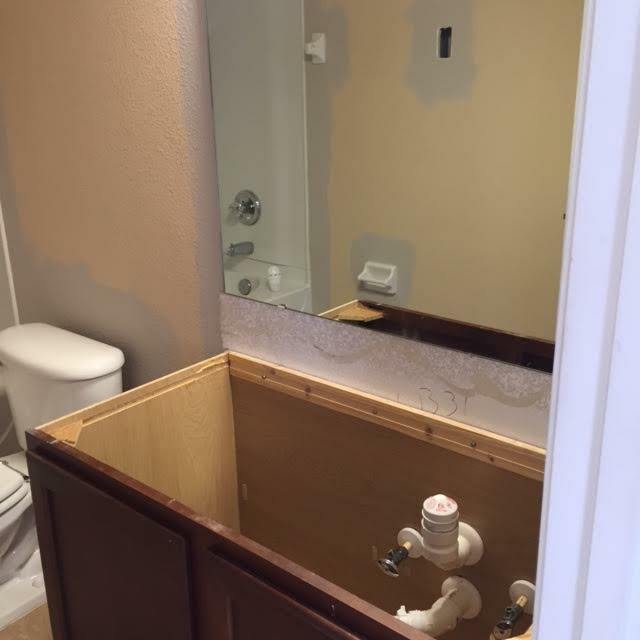 As you can see from this picture and others in this article, I am painting this bathroom the same color, Gallery Taupe, in the entire unit. After removing the carpeting and pad, this is how the sub-floor looked. 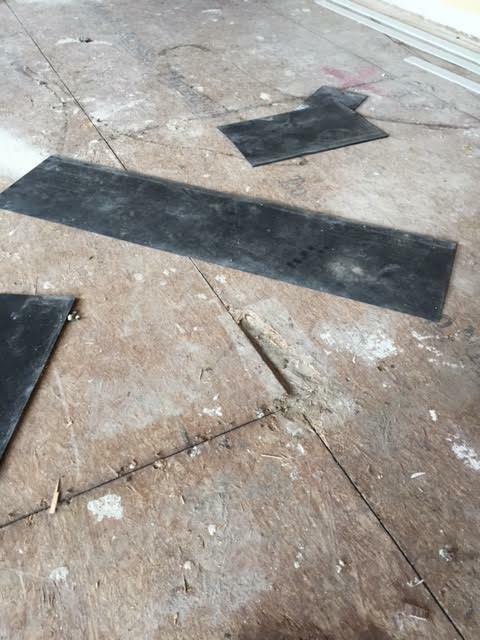 Metal plates were installed in some areas where the builder left gaping holes, then the entire floor had to be re-screwed to eliminate squeaks and any uneven transitions. If you are wondering what the black things are, they are transitions used between carpeted surface and tiled areas so there isn't a big height difference between the two floors. 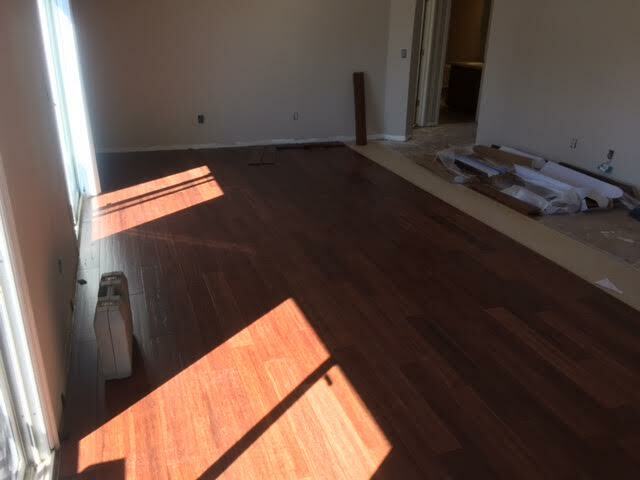 The bamboo floors are 1/2 inch thick and a regular wood strip will be used for the transition now. Complete construction zone! 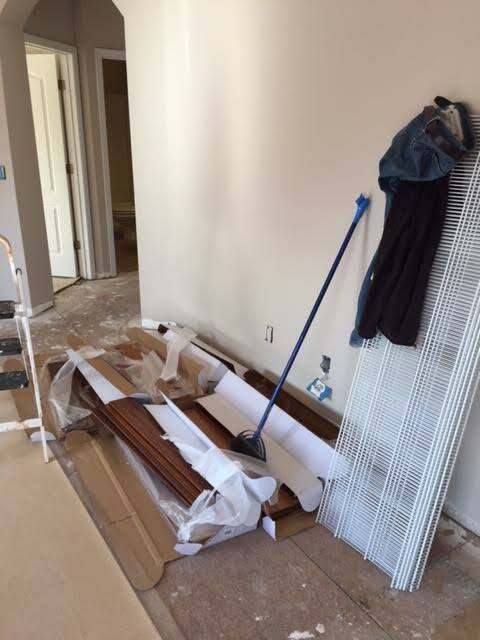 When installing natural flooring, like bamboo, stone, wood, etc., be sure to mix 3-5 boxes at all times. This will give the floor a more random look and off-set any differences in Lot/Die, etc. You will also notice the new paint color on the walls, which is Gallery Taupe. 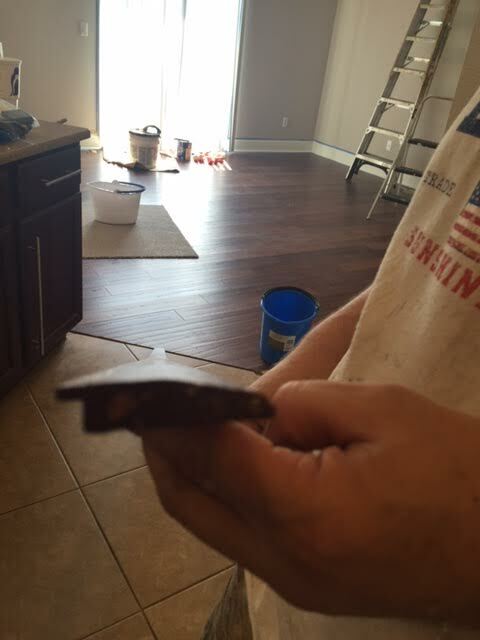 This type of floating floor requires a pad beneath the actual flooring. The sub-floor repairs and prepping are done, the pad has been installed, and now the flooring is being installed. The new wood transition strip is being prepped for installation. 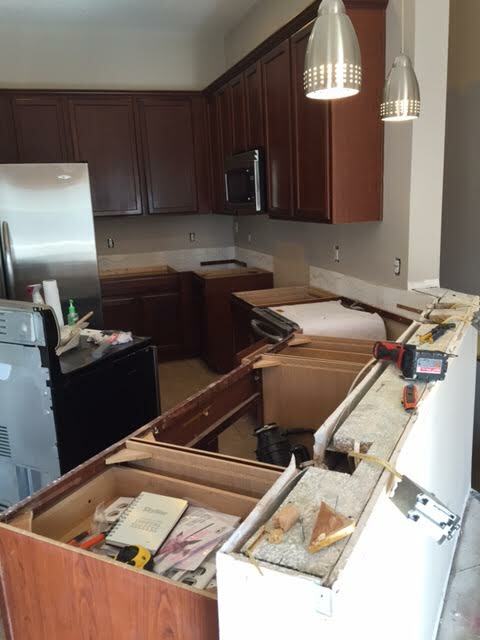 Also notice the new base boards, cabinet hardware and granite have been installed.